Archimandrite Apostolos Koufalakis preaching at St. Demetrios Cathedral in Astoria. 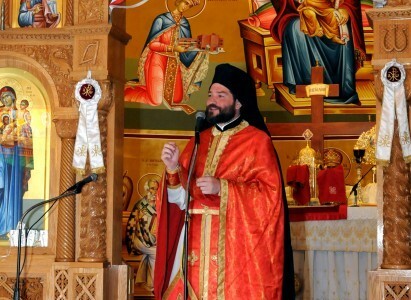 NEW YORK – The Holy Eparchial Synod of the Greek Orthodox Archdiocese of America, which was convened in a two-day session at the Archdiocesan Headquarters in New York on March 17 and 18, decided to begin the process to elevate Archimandrite Apostolos Koufalakis to the bishopric rank. Koufalakis presently serves as Chancellor to Metropolitan Gerasimos of San Francisco. Gerasimos had raised the issue of Koufalakis’ elevation in the past, but Archbishop Demetrios had stalled it because of Koufalakis’ close friendship and ties to the originators of the 2010 scandal at St. Irene Chrysovalantou Monastery in Astoria. Gerasimos invoked the opinion of Metropolitan Nikitas of Dardanelia, who headed the three-member Exarchy sent by the Ecumenical Patriarchate to investigate the scandal, which led to defrocking those involved. Gerasimos said that Nikitas told him that Koufalakis was not found at fault for anything. Koufalakis, who had served for many years at St. Demetrios Cathedral of Astoria suddenly announced in October 2011, during the Chrysovalantou investigations, his departure from his pastoral position and his appointment as Chancellor to Metropolitan Gerasimos of San Francisco. TNH has learned that the Patriarchate has been pressuring Demetrios as of late to proceed with Koufalakis advancement to bishop. The Patriarchate wants the Archdiocesan Eparchial Synod to select the ballot known as triprosopon in which Koufalakis name will be included so that the Patriarchal Synod can elect him unanimously, as is it usually does. The Archdiocese will send the list of the candidates for the high priesthood to the members of the Archdiocesan Council to check and see about the credentials and character issues of the candidates including Koufalakis’, though it is just a routine process more of perception than merit. Koufalakis would become an Auxiliary Bishop assistant to Gerasimos, and poised for further advancement. Also discussed in the Eparchial Synod was the case of an archimandrite who had sexual relationship with a woman who now threatens to make revelations. In its next meeting the Synod will consider the archimandrite’s defrocking. Reference was made to the chronic problem of the Salt lake City in Utah . Archbishop Demetrios said that went to the Denver Metropolis on March 12 and met with representatives of the parish and solutions were found. The Archbishop implied that Fr. Michael Kouremetis will depart from the parish and that he is looking for a position for him. “The Holy Eparchial Synod of the Greek Orthodox Archdiocese of America convened for its regular scheduled meeting in the synodal chamber at the Archdiocese headquarters on March 17 and 18, 2014. His Eminence Archbishop Demetrios of America presided at the meeting, and of all the Members of the Synod participated. 1) Liturgical Matters: The Synod discussed matters that relate to the celebration of the Sacraments of Baptism and Marriage and keeping the Sacred Tradition of the Church while taking into consideration contemporary challenges. 2) Canonical Matters: a) The Synod deliberated on disciplinary matters for clergy. b) The list of names, approved by the Ecumenical Patriarchate, of the eligible candidates for Hierarchical ordination has been received by the Synod and will be published in the next issue of the Orthodox Observer. 3) Administrative Matters: a) The Synod dealt with administrative matters for parishes and monasteries of the Holy Archdiocese. b) The Synod discussed the upcoming Clergy Laity Congress of the Holy Archdiocese, which will take place in July of 2014 in Philadelphia, PA. 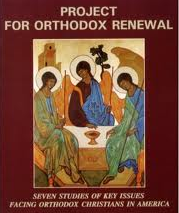 The theme of the Congress is The Orthodox Christian Family: A Dwelling of Christ and a Witness of His Gospel. His Eminence Metropolitan Evangelos of New Jersey, as the host Hierarch of the upcoming Clergy Laity Congress, briefed the Synod on the preparations for this event. c) The challenges faced by small parishes were discussed, as well as possible ways to assist them. d) The Members of the Synod were briefed by His Eminence Archbishop Demetrios regarding the progress for rebuilding the church of Saint Nicholas at Ground Zero. 4) Pastoral Care Matters: The Synod had a special meeting with the Director of the Youth Department of the Holy Archdiocese, Fr. Jason Roll, and was briefed on the work that is being accomplished by the Department. The Members of the Synod had the opportunity to discuss matters related to the pastoral care of our youth. An accomplishment worth noting is the weekly electronic outreach ministry which includes: questions and answers on subjects applicable to the youth, resources for the Sunday Gospel readings, and video clips on contemporary issues and Christian messages presented in an innovative way. “His Eminence Archbishop Demetrios commented on the significant events that have taken place since the previous meeting of the Synod. 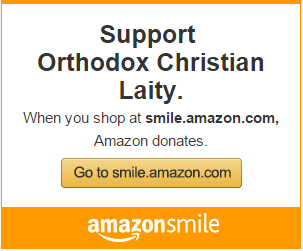 Among these events was the Synaxis of the Primates of the Orthodox Churches, which took place from the 6th to the 9th of March 2014 in Constantinople and was presided by His All Holiness Ecumenical Patriarch Bartholomew. Originally published March 29, 2014.